FileMaker 17 was just released and with it came a bevy of new development tools and features. Chief among these new tools is the FM Data Migration Tool, which helps developers import data from one FileMaker file to another. 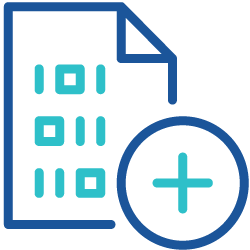 The FileMaker Data Migration tool is available through the FileMaker Developer Subscription and to FBA members. Developers will need to download this tool before they can use our free FM Data Migration Assistant. Before doing development on an existing company file, you, the developer, need to make a copy of the live file where the data entry is being done. This copy includes all the data from the live file. You can use this copied file as the development (Dev) copy for your scripting work and schema modifications. Once development is complete and it is time to "go live" with the latest schema changes, you need to then clone the Dev file. This clone will include all of the schema updates from the dev copy but none of the old, outdated data. You can then migrate all of the current and up-to-date data in the live file to the fresh clone of the Dev file. After the live file data is imported into the cloned file - it now becomes the new live life file and can be put on the production server. Until the introduction of FileMaker’s new FM Data Migration Tool, developers had to manually import data from one file to another table by table - a long, laborious, potentially error-prone, and certainly time-consuming process. With this new tool from FileMaker, once development is complete in the Dev copy of the file and the developer is ready to migrate the data, he or she can use FileMaker’s tool to migrate the data more quickly and easily. However, the process is still not without effort and requires some expertise. Most importantly, the developer would need to be familiar with and comfortable using Terminal or Command Prompt. To make it all even easier, because time is money, our plug-in developer created the FM Data Migration Assistant. This tool gives you a convenient interface for the FM Data Migrator Tool. 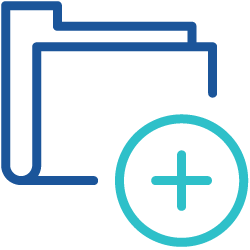 We’ve done all the scripting work for you, so migrating data from one file to another is as easy a few clicks and doesn’t require you to type commands in terminal or the command prompt. Check out the video below for more details on the FM Data Migration Assistant and how you can get our tool and training course for free. Sign up for our free course and get the FM Data Migration Assistant at Productive Computing University.